Find out about the Singaporean student community at Southampton, entry requirements for our courses and other information specific to your country. UK 1st equivalent: 1st or GPA 3.5 out of 4.0 or, minimum Honours degree with CAP of 4.5 plus minimum grade of A- for dissertation or major project for NUS graduates. You will need to be able to demonstrate the required level of English language proficiency. Students from Singapore who have achieved Cambridge O Level – English grade C+ may be exempted from additional English language requirements. We are pleased to welcome students from Singapore to the University each year. Getting involved in clubs and societies is a great way to meet other students from your country and from around the world. There are many societies run by the University's Students' Union (SUSU) for different interests, religions, sports and academic groups. You may be interested in joining the University of Southampton Singapore Society (SingSoc). 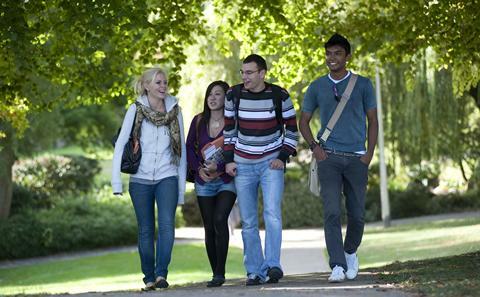 Southampton has the best of both worlds, catering particularly to the likes of students, and has a very international community to enjoy it with.